Thomas, born in 1885, was the eldest son of Mary and Elijah Smart of Burkes Pass. Thomas attended Burkes Pass Primary School and worked on stations in the Mackenzie before joining NZ Railways as a porter. He married Dulcie Pennington (1893-1950) on 30 September 1915 at Waitara. The couple went on to have thre children: Victor Thomas Roy (b.1916), Charles (b.1920), and Maxwell George (b.1922). Smart enlisted with the army on 16 October 1916, joining the second draft of the 24th Reinforcements, Specialist Machine Gun section. He emarked from New Zealand on HMNZT 82 'Pakeha' on 26 April 1917, bound for Plymouth England. 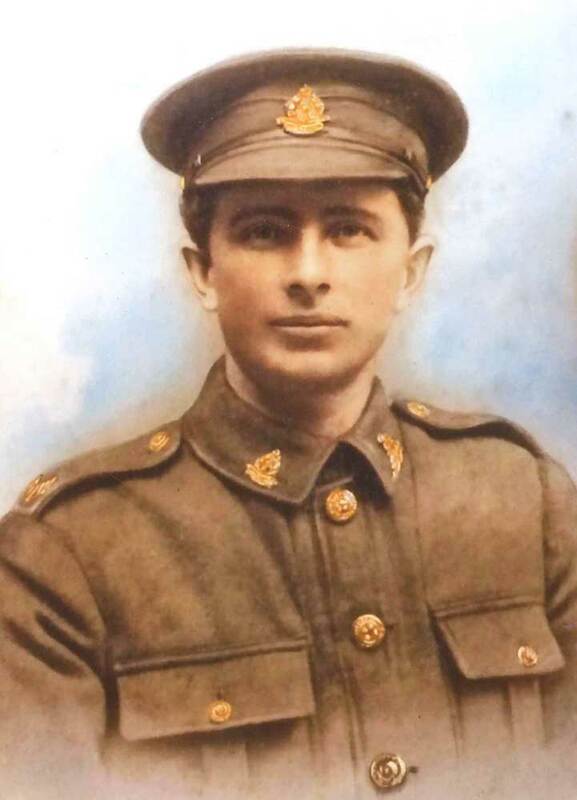 While serving in France, Thomas was wounded (gassed) on 23 August 1918. After treatment he was subsequently invalided back to New Zealand on the 'Oxfordshire'. Thomas died on 30 January 1924, as a result of his war injuries, and is buried at Te-Henui Cemetery, Waitara. He was survived by his wife and three children.